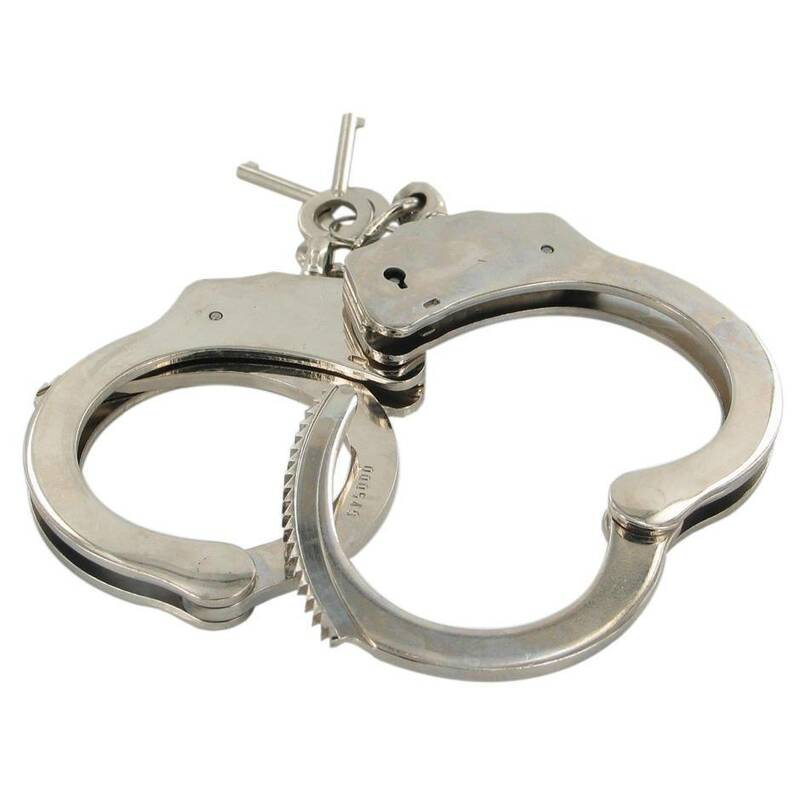 Secure metal handcuffs with an industrial design allows complete restraint in the bedroom. The security locks only open when the key is used, so don't lose the two that are included as your only other option is being cut out. Comes supplied with two keys.